As Filipino and English are the national languages of the Philippines, you'll have a much easier time in your travels if you first learn Tagalog, which much of the Filipino language derives from. Tagalog is a language from the Malayo-Polynesian Branch in the Austronesian language family and is spoken by more than half of the population of the Philippines which stands at around 100 million people. While is one of the major foundations for one of the national languages of the Philippines, actually only around a quarter of the Filipino population speak it as a first language. The majority of people speak English at least at a conversational level. However, this doesn't take anything away from the importance of learning Tagalog. For people who didn't grow up learning English, it's very possible that you won't be able to communicate with them in the slightest. However, the fact of the matter is that no one language will allow you to converse with the entirety of the Filipino population. The reason for this lies in the diversity of the country. The Philippines is commonly known as one of the most diverse counties in the world with a plethora of different languages, dialects, and cultures. This is part of the reason why for the most part, the people of the Philippines are very welcoming to foreigners and tourists. 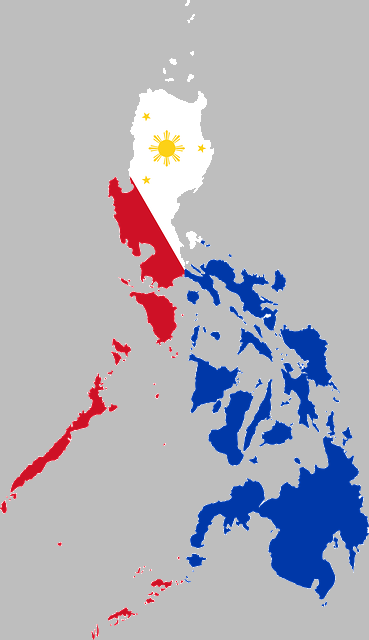 To put the diversity of the Philippines into perspective, the country was previously occupied by both Spain and the United States. During Spanish occupation, the Spanish language was actually declared the official language of the Philippines. This is why you can hear quite a few similarities between Tagalog and Spanish. After nearly five centuries of foreign occupation, you can probably imagine Filipino culture had changed a great deal. After the United States took over, Spanish as the then language official was phased out and English took its place. Since Spanish occupation of the Philippines had such a large influence on the Tagalog language, nearly half of Tagalog words are derived from Spanish. So if you're a Spanish speaker or have learned Spanish before, you'll find that the Filipino vocabulary is strikingly similar to that of Spanish. When you listen to Tagalog, it probably doesn't give the impression of being a particularly easy language. Truth is, learning how to speak Tagalog fluently is much, much easier than it sounds, even for complete beginners. The original Filipino writing system was based on the Baybayin alphabet. Modern Tagalog is based on the Latin alphabet and the Baybayin script is now only used for purely aesthetic reasons. This means that there is absolutely no need to learn the original script as everything is written out in Roman letters, so all you have to do is sound out the words as you read them as you would in English or any Romance languages. In fact, pronouncing words in Tagalog is actually easier than in English because there are no silent letters. So a word in Tagalog sounds exactly as it looks like it would sound. With Glossika, you can jump-start your Tagalog learning journey! This Tagalog course actually takes an approach that strives to preserve the language in its purest form as much as possible. So for the most part, you'll be learning the original Tagalog vocabulary instead of foreign derivatives from English or Spanish! Not only will learning Tagalog in this way earn you the respect and admiration of native Filipinos, it will also give you a deeper understanding and appreciation of the heritage of the Philippines. Now that you have a gist of how Tagalog sounds, take a look at the below chart for a list of common Tagalog survival phrases that you can use in your travels. Similar to Japanese and Korean, Tagalog has both formal and informal forms. However, unlike those languages, you don't need to use the formal form for Tagalog even for people you're meeting for the first time. In fact, they would actually think that you're strange for speaking so formally! So with the pronunciation in mind, go ahead and familiarize yourself with the essential phrases listed below. You can even print it out and use it as a cheat sheet when you're in the Philippines! How are you? Kamusta ka? What's your name? Anong pangalan mo? Where are you from? Tagasaan ka? Have a nice day Magandang araw sa iyo! Good luck! Suwertehin ka sana! Have a good trip! Aligayang paglalakbáy! Where's the restroom? Nasaan ang kasilyas? How much is this? Magkano ho? How do you say ...in Tagalog? Paano mo sabihin ang...sa tagalog? Can you please help me? Maaari mo ba akong tulungan? Can you take me to...? Pwede mo ba akong dalhin sa...? What are you doing? Ano ang ginagawa mo? How old are you? Ilang taon ka na? Start Learning Tagalog on Glossika Today! Learning how to speak Tagalog is easy, even for beginners who are just starting to learn a language for the very first time. With Glossika, you'll have the means to immerse yourself in a Tagalog speaking environment via our audio files and English translations on a daily basis. This way, you can gradually improve your listening comprehension, vocabulary, pronunciation, sentence structure, and grammar until you eventually reach fluency.